Building a fountain in Minecraft can be a bit confusing when you don’t know how to start. In truth, your first fountain - or any fountain - doesn’t have to be massive and complicated. Simplistic fountains can be as beautiful as those full of detail. Whether you are creating small, minimalist fountains or large, intricate ones, the process will require both water and building resources. Sometimes, a fountain is all your home or village needs to liven up the scenery! Your building materials can be whatever blocks your prefer, though stone looks prettier on a fountain in comparison to wood or brick. The size of your fountain ultimately determines the amount of resources you need. Fortunately, this small build requires very few precious materials. To start, build a five-by-five foundation with your stone slabs (or whichever materials you have chosen) where you would like the fountain to be. Feel free to add flowers or other decorative objects as you see fit. If you'd like to build a bigger fountain, simply double the size of your base and work from there. You can be as decorative or as plain as you wish - this is just a simple model to work off of. 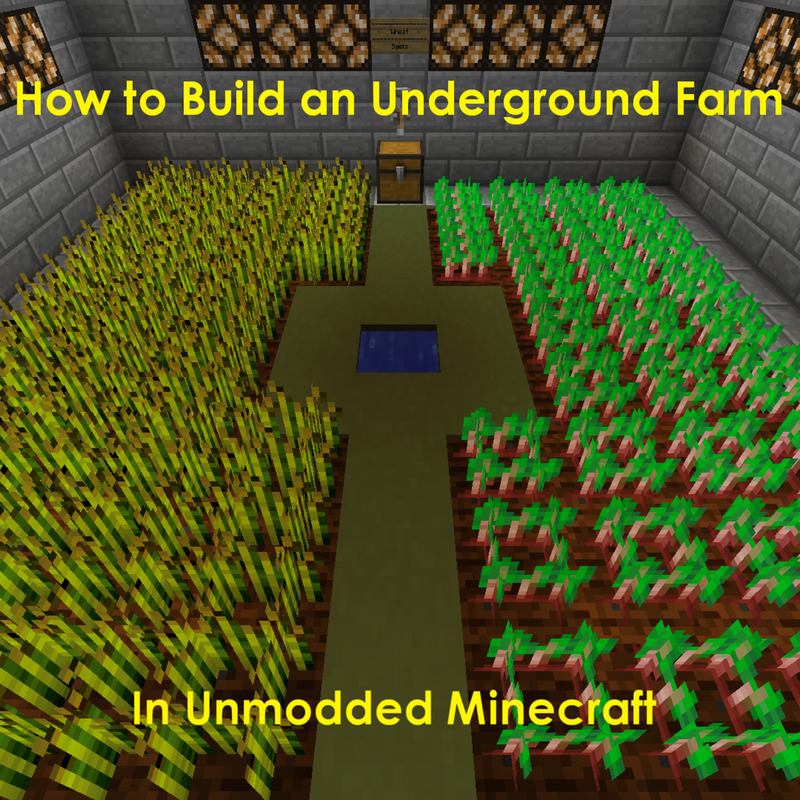 Next, you’ll need to dig up the dirt blocks beneath your fountain's foundation. This creates a pool for the water to fill up and prevents flooding in the space around your fountain. 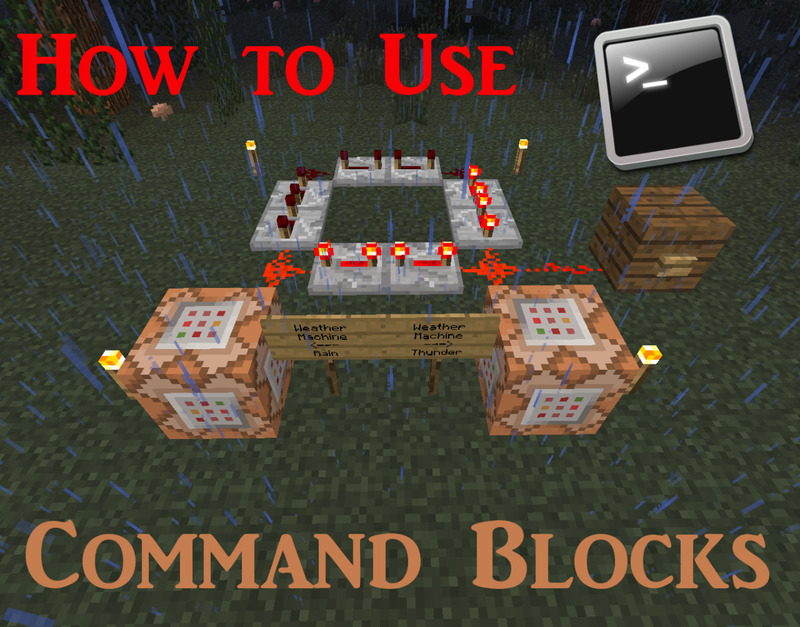 Replace the second layer of dirt blocks with more stone brick blocks. 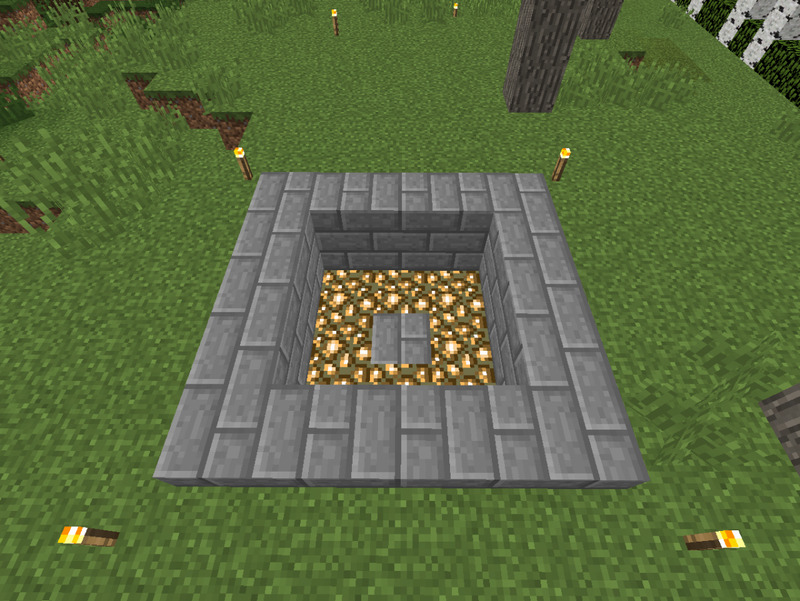 The glowstone blocks should be placed on the floor of your fountain pool, excluding a stone brick block in the center; glowstone along the bottom can help lighten up your fountain naturally, but is not required. The final step is to place a pillar in the center of your foundation. Your fountain’s pillar can be as short or as tall as you like, though a shorter pillar has more visual appeal with this small build. For this fountain, the pillar is five stone blocks high. Once you've built your pillar, take a bucket of water and dump it on the uppermost block of your pillar. The water will cascade down all sides, falling into and filling the base of the fountain. Within just a few minutes, you've created a fountain! To start, build the base of the fountain with stone slabs; create a cross by intercepting one nine-slab line with another nine slabs through the middle. At each end of your cross, place two slabs - one on each side. 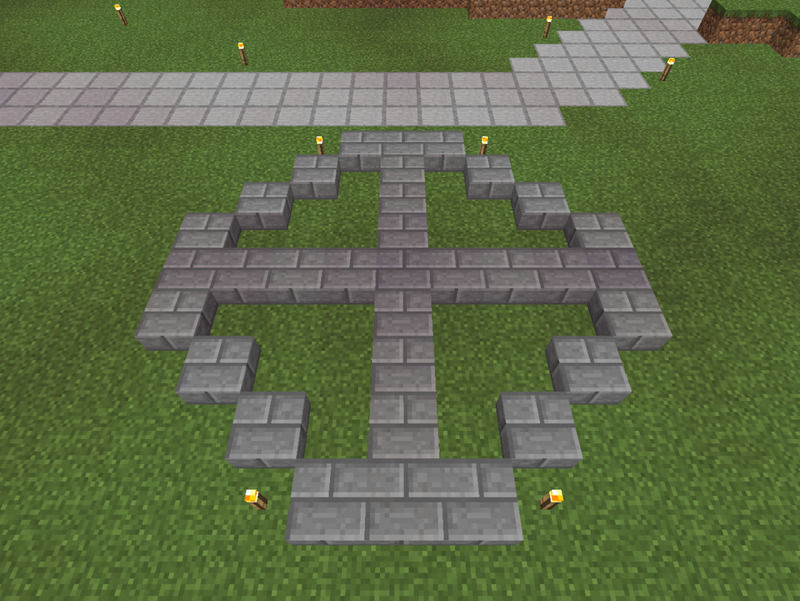 It should look like each end forms the letter T. Next, connect each end to the other with two diagonal stone slabs; in the end, you should be left with a very blocky circle split into four sections. 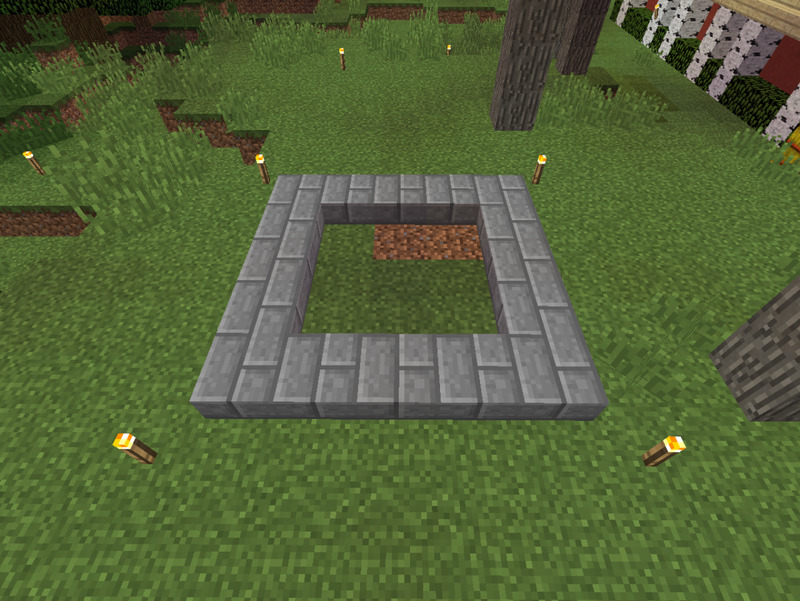 As with the first fountain, dig out the layer of dirt blocks beneath the foundation and replace it with stone blocks. The stone should be placed directly beneath the stone slabs. The glowstone lines the floor of the fountain pools, and is completely optional. The remaining glowstone block is for the very top of the fountain. Finally, you need to build the pillar in the center of the fountain - in this case, it is five stone bricks high, with the last block of glowstone on the very top. 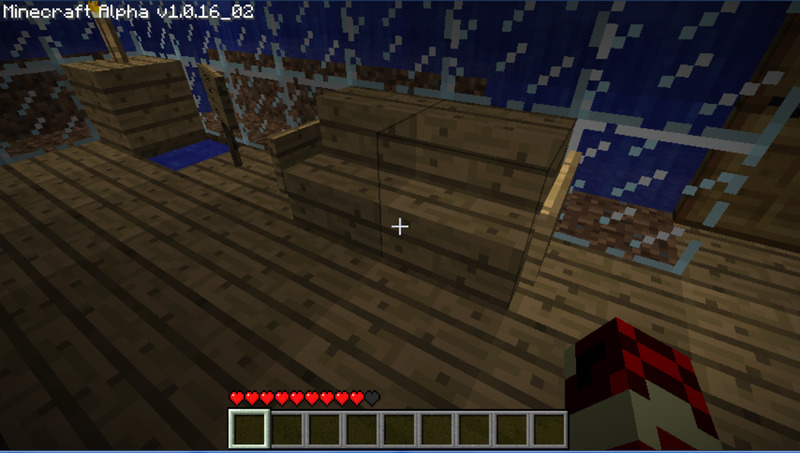 On each side of the glowstone block, place one stone brick in imitation of the cross design; from each of the right angles that this pillar cross forms, you need to place the four buckets of water. Once this is done, the water will cascade down as if the fountain as four spouts at the top. After this step, your fountain is complete! 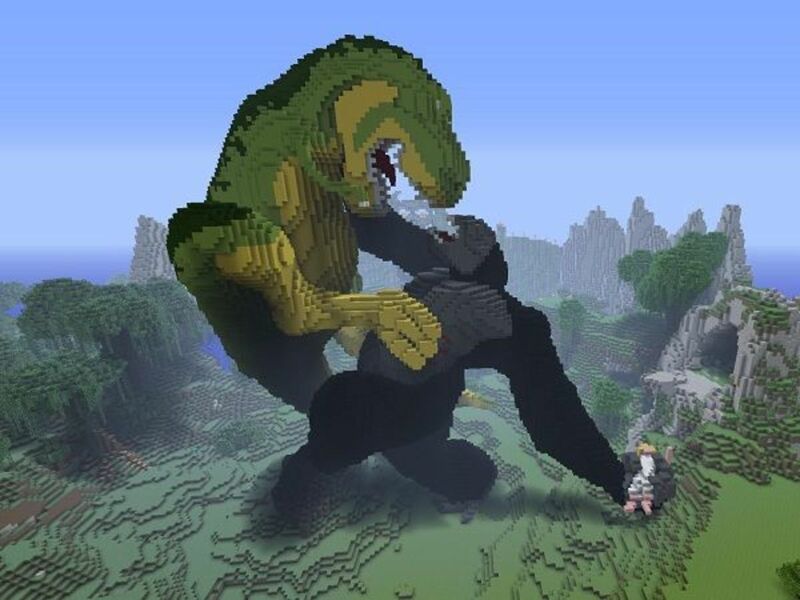 Do you play Minecraft to fight or build? Once you’ve tackled both sample fountain projects, you’ll have the feel of what it takes to fashion one of your own. There are dozens of methods to making your own fountains, none of which have to be conventional. 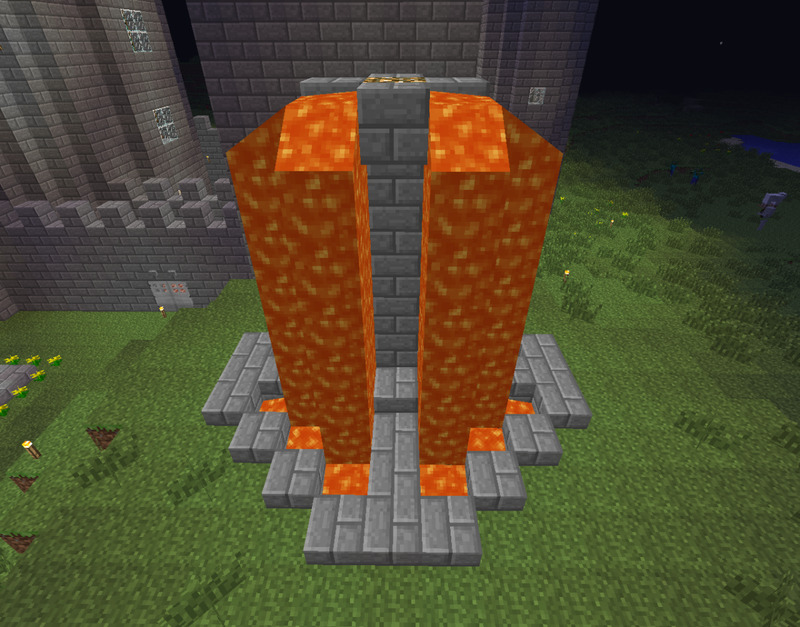 For instance, fountains don’t solely need to be of water - try making a lava fountain! You could easily convert the simple fountain design shown above into a lava fountain. Granted, lava is much more dangerous than water and burns through many materials. If you decide to play with lava, be sure that it has somewhere to pool. 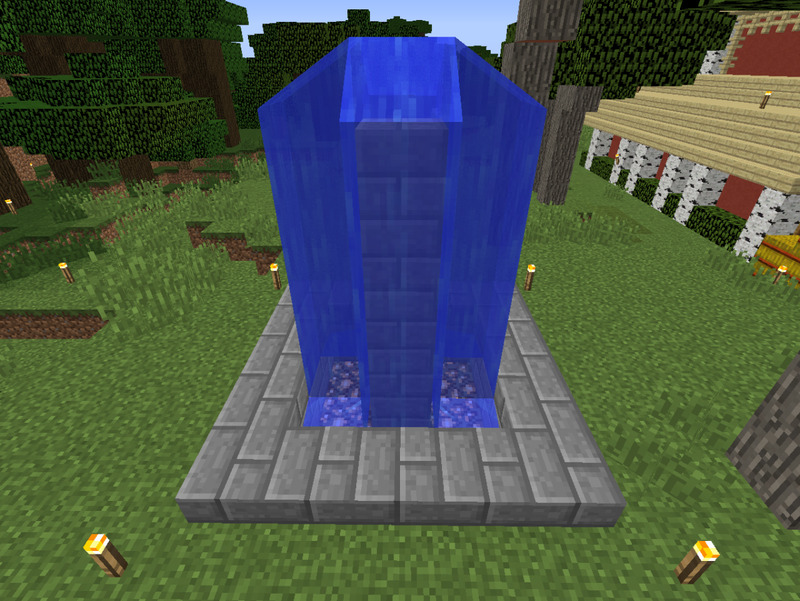 Have you ever made a fountain in Minecraft? I never have, but I plan on trying! 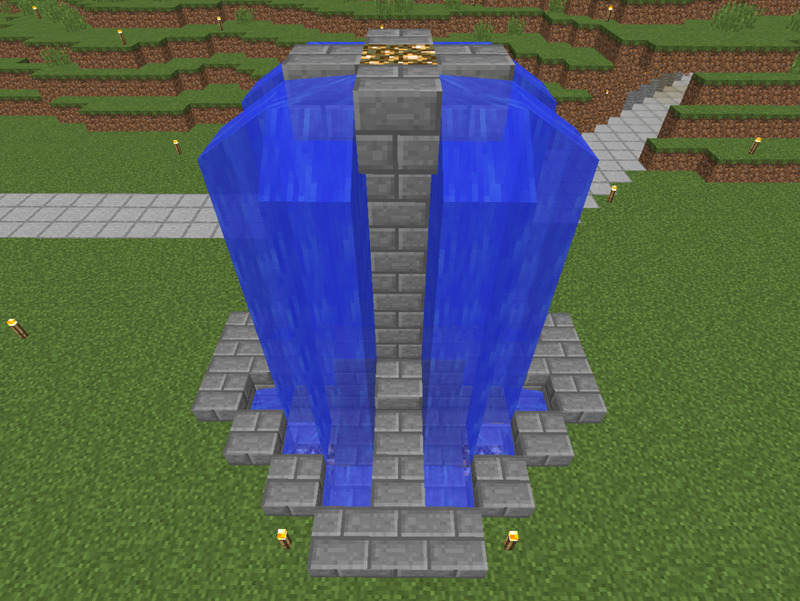 If you have any tall towers or structures in your Minecraft world, you can build a simple waterfall. 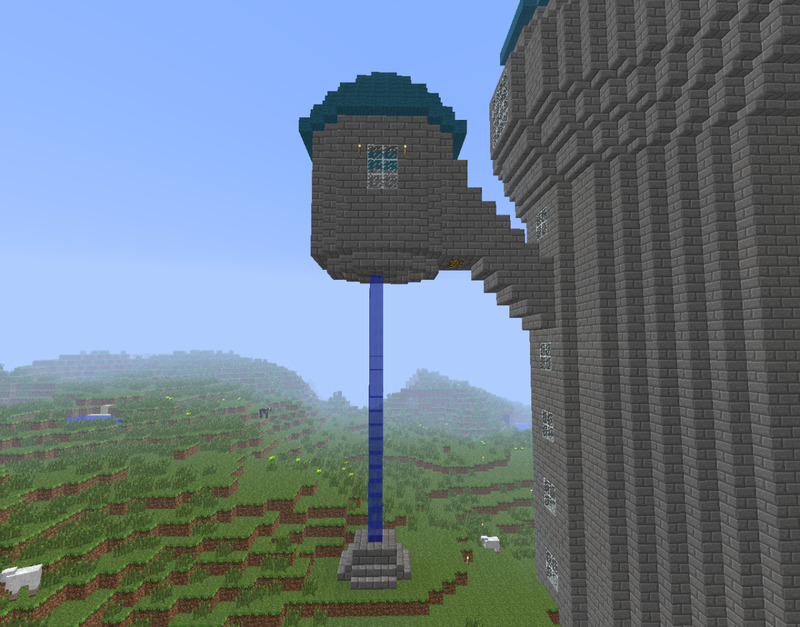 You can build an arm that extends off of the side of your building (or, in the picture below, off of an addition to a castle), punch a hole in the floor and have the water fall down from there. 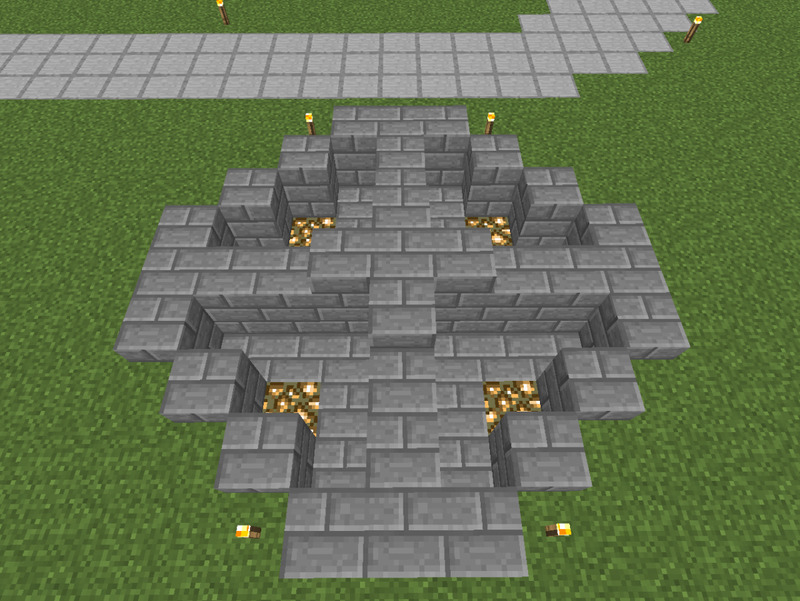 You can create spouts on the sides of walls with upside-down stairs or slabs to create fountains there. 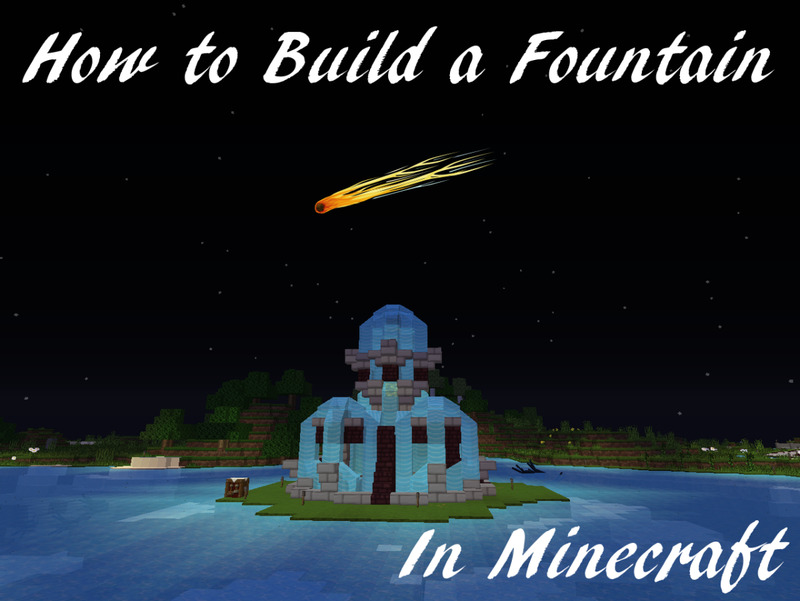 There is no right and wrong way to build a fountain in Minecraft. Experiment with different forms and styles and you never know what you will create! The second one is a great fountain for big house entrances, like mansions. @AbigailHope No problem! Glad you like it. 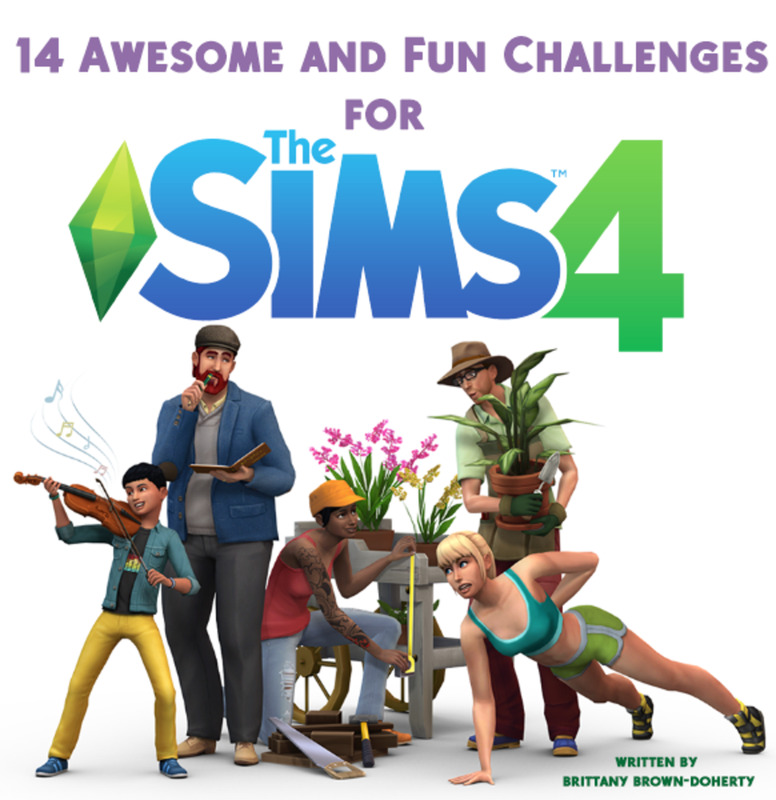 i love this i have build all 4 even the lava one !! Very true! (facepalm) I have no idea why that didn't occur to me straight off. Thanks for reading! The last one can also be used as an elevator! Thanks for the feedback! I love this game. 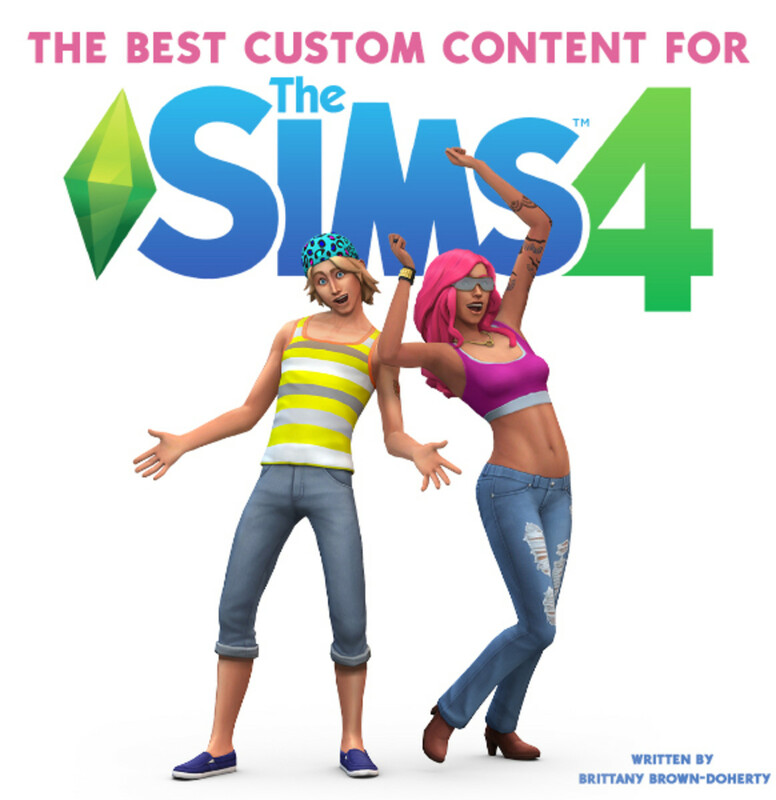 I really need to get this game one day (don't have it already because my computer is crap). So i'll be looking at this again for sure. Good hub. 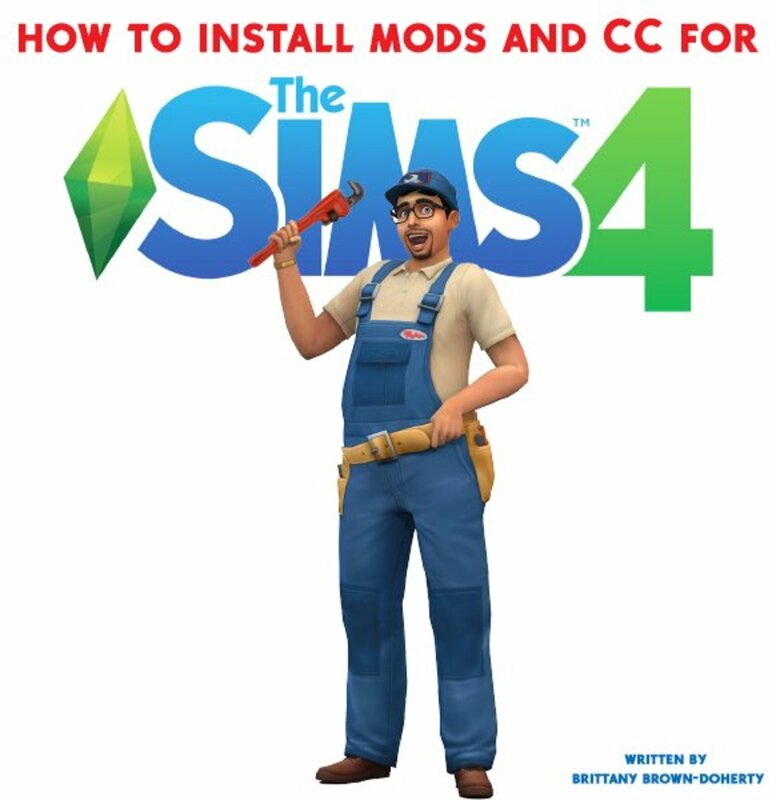 I appreciate the feedback, and am glad the pictures gave you some ideas for builds. It's my favorite part of Minecraft. The last picture gave me some ideas for stuff to build on Minecraft, so thank you for giving me some new ideas.